A manager’s role is not only to supervise, but also to lead, develop, and direct their employees both individually and collectively to accomplish organizational goals. Understanding the essential responsibilities you have when directing others, and the practices you should employ in order to meet those responsibilities, will lead to you fulfilling your duties and realizing the potential of your entire team. 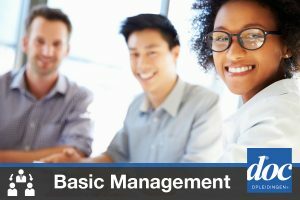 This course provides information on the key proficiencies required to effectively direct others. Specifically, the steps for setting direction and establishing clear objectives and goals are explored. The importance of organizing, including organizing resources, is discussed. Finally, communicating for clarity and direction, including listening skills, barriers to effective communication, and tips for overcoming communication barriers are covered.